Vyuti began its journey in 2014 with just its Artistic Director and three of her students from Attakkalari diploma as dancers. 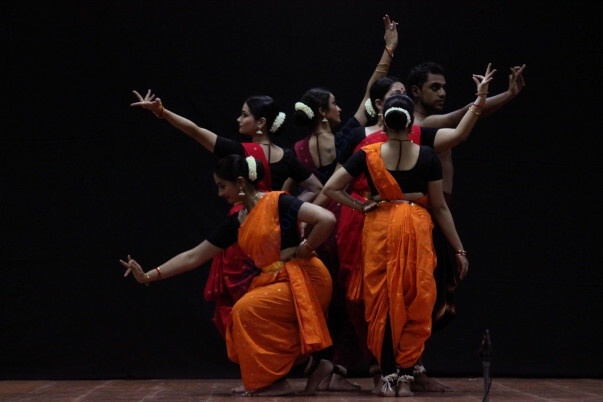 Vyuti, with its limited resources, started its journey experimenting with the idea of multiple bodies performing Bharatanatyam together, aiming to explore the possibilities of interaction between these moving bodies. 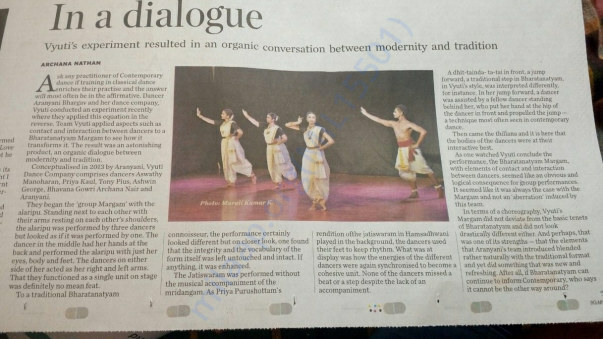 Vyuti was fortunate to have like minded dancers who worked hard with almost no remuneration during its beginning years. After it's conception, it took 2 years of hard work, introspection and research until Vyuti could showcase its first public performance on 12th March, 2016, at Shoonya, Bangalore. 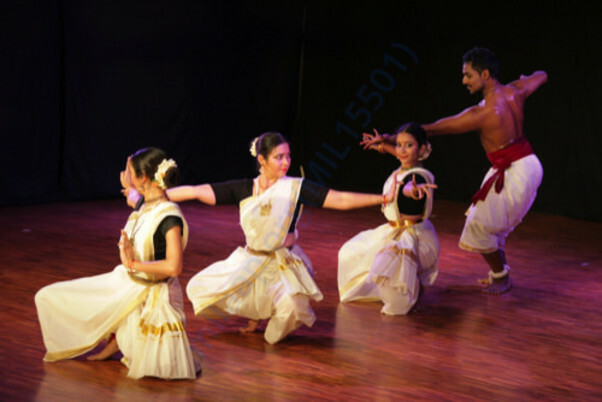 Today Vyuti aims at sustaining its dancers and other supporting artists financially while still exploring and displaying the modernity inherent in this ancient classical dance form. Artistic Director Aranyani is a very poised, disciplined and grounded dancer, choreographer and researcher. She has overcome struggles and has built Vyuti from scratch without financial aid or infrastructural support, through sheer hard work and perseverance. Aranyani began dancing when she was five years old under the tutelage of Padmashri Leela Samson. She has also trained in other dance and movement vocabularies at various institutions such as the Liverpool Institute for Performing Arts (UK), Attakkalari Centre for Movement Arts in Bangalore and others. 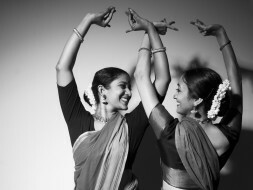 She wrote her masters' thesis on the multiple modernities within Bharatanatyam at Oxford University. 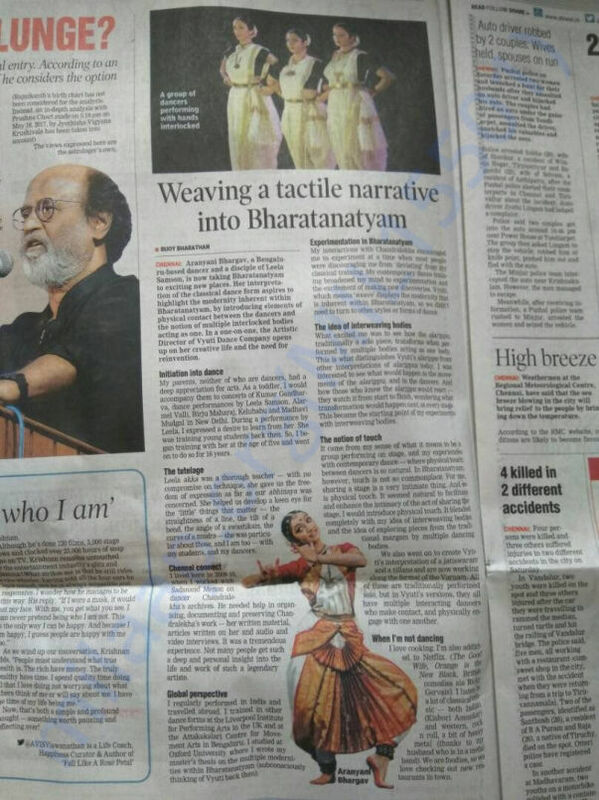 Aranyani is a recipient of the Natya Kala Mani Award for her noteworthy contributions to Bharatanatyam in Chennai in 2014. Vyuti currently consists of its Artistic Director, Aranyani, along with Aswathy Manoharan, Tony Aloysius Pius, Preeja Mahendran, Madhumanti Bannerjee, Sanjana Prasad, Shruti Suresh and Atmica Reddy. With a team of 8 dancers now, Vyuti is getting bigger and stronger, but increasingly difficult to self-fund - which is why we need your help! On November 1st, Vyuti Dance Company will be presenting 'VALAYASYA' - a showcasing of all of Vyuti's work till date, including its new piece 'Sakhi', which will premiere on this day. This year for 'Valayasya', Vyuti is collaborating with young artists with passion, dedication and enthusiasm for whom the experience of working with Vyuti is paramount. Vyuti is fortunate to be able to work with these talented dancers and musicians, despite its financial constraints. Vyuti wants to be able to support and pay its artists/collaborators well and hope this attempt of crowd funding would allow Vyuti to do that. This being our main motto for crowd funding, we are estimating the cost of Valayasya's production with stage, light, music (recording and remuneration for musicians), costumes, technician and artist remuneration to amount to Rs 6,90,000/-. We hope to raise this minimum cost to get the production on stage. Our dancers have been rehearsing for several weeks and your support for us in this endeavour will be deeply appreciated. With your help, we will be presenting our production on November 1st, 2017 at ADA Rangamandira, Bangalore. Any donation will help us at this point and we are grateful for anything that you can offer. We will be providing donor passes for our production 'Valayasya' to donations above Rs 3000 and would like to work towards having an exclusive donor performance for donations of higher amounts. For our donors outside of Bangalore and India, we would like to send you the video of our November 1st performance so that you can see what you helped make happen! We thank you deeply for your support, and look forward to seeing you on the day of the performance! Thanks to all of you, we have reached our target just in time! We look forward to seeing you on November 1st. We are happy to let you know that we spent last weekend recording the music for 'Sakhi'. And your contributions helped us a great deal in being able to remunerate our musicians, spend many many hours in the recording studio and getting it all together. We have also been able to design our costumes, print posters and tickets, design t shirts and get help from a marketing person to promote Sakhi - all with the funds we have received from you! Thank you so much! We are now less than a month away from showcasing 'Sakhi' and just under 13,000/- short to meet our target. Thank you so much for bringing us this far! And do spread the word to anyone you know who may wish to contribute a small amount to help us reach 6,90,000/-! We look forward to sharing the final work with you after November 1st, and are very excited as the performance date approaches. We hope to see some of you on November 1st. Tickets are available with our manager Aparna and our dancers (please email us on vyuti.dance@gmail.com/manager.vyuti@gmail.com to know more about how to get tickets). The tickets are also available on bookmyshow. For those who aren't in the city/country, we have not forgotten about you and will definitely be sending you a video of our performance! Thank you, and until our next update, goodbye. We have attempted to make our first withdrawal from the Milaap campaign...this will help us pay our musicians, the recording studio and the dance studios for our rehearsals, which are resuming soon! We hope you will continue to support us and help us reach our goal of 6,90,000/- of which we are a few thousand rupees shy.